Ludhiana was in dire need of a good school which could cater to the global needs of the children. Nehru Sidhant Kender Trust endeavoured to step forward and offer Ludhiana a great institution in the name of Sat Paul Mittal School an institution incomparable in all respects. Sat Paul Mittal School embarked on its first academic session on 5th April, 2004 and is today the preferred choice of Ludhianvis. The school was formally inaugurated by Capt. 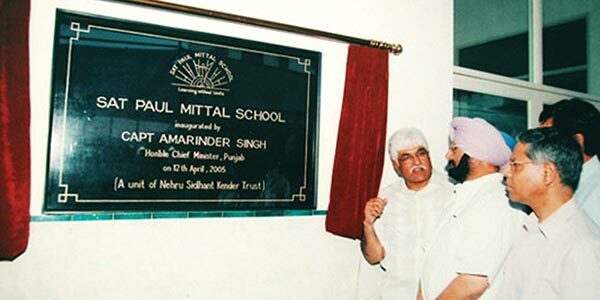 Amarinder Singh, then Chief Minister, Punjab on 12th April, 2005.Since its inception, Sat Paul Mittal School has proved its grit and mettle by achieving one feat after another in the field of education.